This module provides an expansion field power distributor. 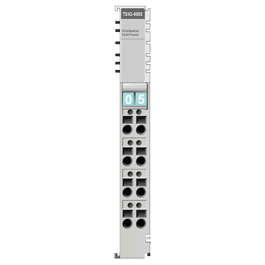 It can be used to provide the correct voltage to I/O slices that have different voltage requirements (arbitrary 5VDC, 24VDC, 48VDC, 110VAC, 220VAC). Used for field power isolation, the TSIO-8002 passes power through from the network adapter and does not affect system power.